Memories are beautiful and should be treasured. Here at Maya Road we love to help make memory keeping both beautiful & simple. Our latest mini album kit is the perfect place to start with it's gorgeous papers, sweet mini album and beautiful embellishments. Everything you need (and more) is in one kit that arrives right at your doorstep. 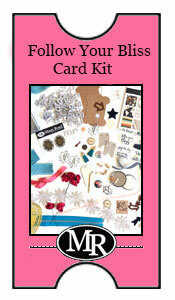 This kit is a joy to create with and the end result is a mini album you'll treasure for years to come! If you're looking for samples of what you can create with this kit, look no further! Two different designers have created two unique mini albums. Simply click on the following photos and you'll be linked right to their coordinating galleries. 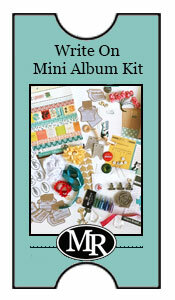 Each gallery has full instructions to complete one of the mini albums. This kit will ship the week of August 18th!